Impact’s Regional Sales Manager Colin Ingram has successfully completed a challenging 280-mile cycle ride across South Africa, helping to raise more than £220,000 for Transaid – the most a single event has ever achieved for the organisation. 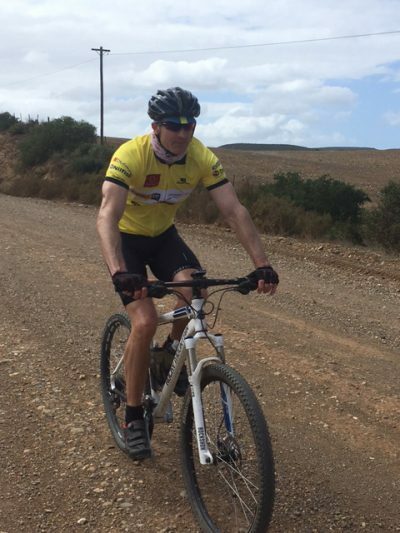 An avid cyclist, Ingram cycled 120 miles each week to train for the event, that has raised funds to help the international development organisation transform lives by providing safe, available and sustainable transport across Africa. The 40-strong team of cyclists who took part faced 20km climbs and 40mph headwinds along the route which took them from De Doorns on the Western Cape to Cape Agulhas – the southernmost point of the continent. Speaking of the achievement, Ingram, who is originally from South Africa, said: “I am incredibly proud to have helped raise such a phenomenal sum for Transaid and support such a worthwhile cause. This was very much a team effort and it was fantastic to see a group of people with varying cycling experience encouraging each other and working towards a common goal. Ingram’s achievement was generously supported by Bulmor, Carer Heavy Duty Electric Lift Trucks, Nilfisk and Powerflex. Since pledging its support to Transaid in January 2015, Impact has worked hard to bolster its annual financial contribution with additional support. Last year the company facilitated the donation of a Cat lift truck, which has since helped more than 80 people in Zambia qualify as forklift truck operators. Impact also seconded National Training Manager Mark Prickett to Transaid on a two-week teaching placement. Founded by Save the Children, The Chartered Institute of Logistics and Transport (CILT), and its Patron, HRH The Princess Royal, Transaid shares 25 years’ worth of expertise in 23 countries with partners and governments – empowering people to build the skills they need to transform their own lives.